Celebrate life with a little love and music. 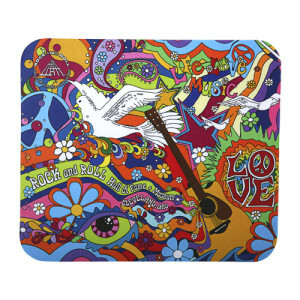 Our psychedelic era inspired mouse pad is sure to put you in a festive mood. Mouse pad measures 9" x 7½".